An armless man walks on the center median of a main road in old Delhi. The sign in the background refers to an initiative to help dalits - specifically, Muslim dalits - for what I imagine is some type of state assistance. 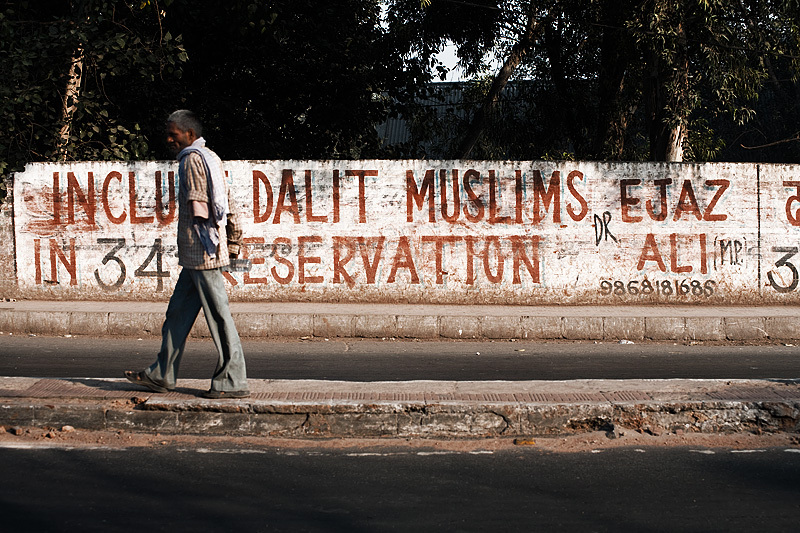 A dalit is a member of the lowest caste in Indian society otherwise known as an "untouchable". In India, there are constant reminders for me to take stock of my life and appreciate what I have, and not what I don't have.